We have developed the Human Interface Software (HIS) as a software package for the CENTUM CS 3000 which is Yokogawa's distributed control system (DCS) for large-scale plants. The HIS, based on Windows NT2 , features both the functionality provided by the human-machine interface of a conventional DCS and the usability demonstrated by Windows-based operation. With such functions as window hierarchy, graphic data binding and the restoration of message summary data, we are able to offer a very friendly operation and monitoring environment to users. In the field of hardware products, we have developed a console-type platform that is an operation and monitoring machine dedicated to the CENTUM CS 3000. The environment surrounding process control systems has changed dramatically as the performance of personal computers improves and the Windows2 operating system advances, there has been a move towards the trend of open architecture. As we are already aware, in addition to the traditional high reliability level and the unique operability there has been an increase in demand for the interoperability of human- machine interfaces (HMI), which are responsible for the operation and monitoring of our distributed control system (DCS). 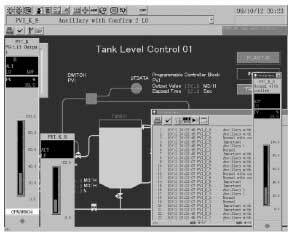 Over a long history of development involving platform changes from Yokogawa's original OS to a real-time OS, to UNIX, and then to Windows NT2 , the HMI has evolved into its best architecture to date. The HMI, on the other hand, has continued to advance independently of changes to its platform, by succeeding to earlier functions and incorporating newly developed functions. The HIS that serves as the HMI of the CENTUM CS 3000 is a system developed with the aim of combining the high reliability based on long-accumulated know- how of Yokogawa as a DCS vendor with the interoperability discussed above. The HIS of the CENTUM CS 3000 shares the same architecture with the Windows NT-based HIS of the CENTUM CS 1000 developed for small- to medium-scale systems. Accordingly, both software packages share the same operability and functionality. In addition, an HIS package for console-type operation and monitoring stations has been made available to meet the traditional, strong demand for a sturdy system. The following three types of platforms are available for the HIS of the CENTUM CS 3000, allowing users to choose an HMI best suited to their system. Using a personal computer with the highest speed available at the time of building the system, is both advantageous in terms of costs and allows for optimum performance. High performance will contribute to improvements in system response. Made by Yokogawa Yokogawa offers an industrial personal computer of its own to users who attach greater importance to reliability. The PHIS features the enhanced RAS functions (Reliability, Availability and Serviceability) and has a reliability level optimum for industrial applications. 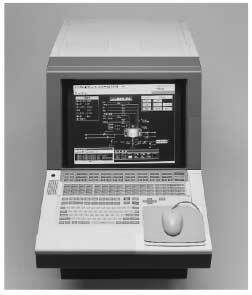 Yokogawa guarantees the supply of parts for five years after the discontinuation of this computer. Like the earlier ICS and EOPS, this platform is a console-type HMI. The LPH21C has the same operability and functional- ity as those unique to conventional DCSs. Like the PHIS, it has a reliability level optimum for industrial applications and Yokogawa guarantees the supply of parts for five years after the discontinuation of this console. The HIS employs Windows NT as its operating system to allow it to coexist with a host of Windows applications in the same system. Also the CENTUM CS 3000, like the CENTUM CS system, uses a Vnet as its control bus. The Vnet is positioned as a bus dedicated to control data and separated from an Ethernet that handles information-oriented data, in order to achieve a fail- safe system. The latest models of printers and peripherals, such as auxiliary storage units, that are supported by Windows NT and have had their operability verified, can be connected to the CENTUM CS 3000. The HIS of the CENTUM CS 3000 provides the operation and monitoring functions that have been developed based on Windows NT. These functions mostly work through mouse operation. An operation keyboard dedicated to operation and monitoring purposes is available as an optional input device to enable more efficient operation and monitoring. The HIS allows commercially available software to be active on a CRT display together with the HIS' operation and monitoring windows. This section introduces some of the functions developed for the HMI of the CENTUM CS 3000. In consideration of software performance, the HIS is designed so that the operator can simultaneously open no more than five operation and monitoring windows. Furthermore, the HIS has an additional function that memorizes each combination of windows so that the group of windows can be recalled later. Two modes of window configuration are available according to the user's application. This mode shows graphic and trend panels as windows of the Windows NT operating system. This mode assumes operations to be based mainly on the mouse and general- purpose keyboard and may mostly be used for a desktop HIS platform. The mode can also be used in combination with an optional operator keyboard. This mode assumes that operators, who are familiar with the operation and monitoring of windows of a DCS as late in the series as the CENTUM CS, can comfortably work with the windows of this mode without feeling any difference. In the full-screen mode, each opening of a window results in window switching (a new window takes the place of the current window), while in the window mode, new windows are opened in succession in an overlapping manner. This mode can work either on a desktop platform or a console platform. On the console platform, the operator can use the key for working with eight loops simultaneously. An engineer can layer two or more graphic windows to form a window hierarchy. This hierarchy supports smooth window switching for operators who are not completely familiar with the configuration of all windows. This hierarchy can also be used to convey alarm information. By conveying an alarm status occurring within a graphic panel in a lower-order layer to a graphic panel in a higher-order layer, the higher-order graphic panel can be used like an overview panel to carry out alarm monitoring. On the HIS platform, a navigator window (see Figure 3) represents the configuration of windows, while also showing their alarm statuses. A process control system often comprises two or more groups of equipment having the same configuration. In order to monitor these groups of equipment, there has been a need to create multiple graphic windows, even though the groups' functions are exactly the same, simply because their tag names differ from each other. To solve this problem, we have introduced the data bind function (see Figure 4). 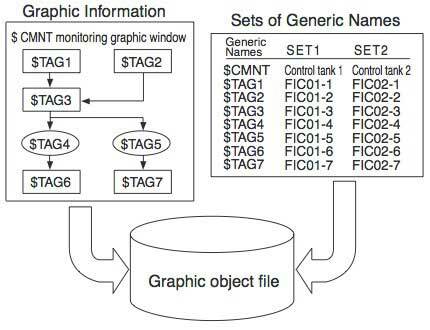 With this function, the user can use a generic name to state the modification conditions of a graphic panel and have two or more sets of generic tag names within a graphic object from which that generic tag name is allocated. By specifying a set name when calling a graphic panel, the operator can operate and monitor two or more pieces of equipment from just one graphic object. Generic names can be stated not only for tag names but also for comments and modification conditions and are most effective when used in a batch plant. If the HMI is placed in a reset-start sequence, messages stored up to that moment in time are cleared; therefore, it is no longer known what kinds of alarm information remain within the system. The CENTUM CS 3000 has a function that restores messages during a reset-start sequence. When the HIS in question is starting up, it reads the messages stored by other HIS platforms as its own messages. With this function, two or more HIS platforms can be reset-started in sequence, so that all of the HIS platforms are restarted without losing any stored message. The amount of trend data and historical messages that can be stored is predetermined in order to effectively use the limited memory resources of a hard disk and increase display performance. Accordingly, the operation and monitoring functions are designed to remove earlier data periodically. With the long-term data storage function, it is possible to store data in a large-capacity storage device, such as an external hard disk drive, over a prolonged period. Such stored long-term trend data can be shown in a trend window like regular trend data. A higher-order application layer retrieves information from a DCS to carry out operation support, advanced control and production management. The CENTUM CS 3000 comes with an interface that complies with the industry standard OPC (OLE for Process Control). In addition, applications in higher-order layers can be incorporated using the graphic container function to allow them to share the same operability with other DCSs, whereby offering a seamless operating environment. We have also released the graphic container function with which users can paste general-purpose applications supplied as ActiveX controls to graphic windows so that they are integrated into the operation and monitoring functions. Using Visual Basic2 or Visual C++2 , users can create their own programs and run them on an HIS platform. A user program can be started from a pushbutton on a graphic panel, a scheduler, a keyboard, etc. If created as an ActiveX control, the user program can be incorporated into the operation and monitoring functions using the graphic container function so that user- created windows are integrated into the functions as the primitives of an operation and monitoring window. Using OPC, it is also possible to have access to process data. We have recently developed the console-type HIS platform which is a machine dedicated to the CENTUM CS 3000 (see Figure 5). This type of HIS platform consists of Yokogawa- original dedicated hardware to achieve an industrial level of reliability. It has realized both the flexibility of hardware configuration by employing a PC-based architecture and the DCS-specific functionality that has come to be expected in console-type platforms. This section introduces the features of this platform. The console-type HIS platform of the CENTUM CS 3000 combines the operation and monitoring functions, which feature the interoperability realized by the general-purpose personal computer and PHIS platform, with the functions that are necessary to console-type platforms and were realized by the CENTUM CS and CENTUM XL. The console-type HIS platform has been designed with the assumption that it will be located directly in the process control site and operated in full- screen mode. The dedicated operation keyboard realizes the 8-loop simultaneous increase/decrease operation that is traditionally characteristic of DCSs. This keyboard is dedicated to the CENTUM CS 3000 and is equipped with a DCS-specific button for accessing an operation and monitoring window, 64 function keys, and an 8-loop simultaneous increase/decrease key. The operation keyboard comes standard with the console-type HIS platform. The arrangement of alphanumeric keys on the keyboard has been changed from the Yokogawa-original ABC layout to the globally accepted QWERTY layout to make the HIS easier to use in an international environment. The console-type HIS platform has two contact I/O terminals to provide a contact-based interface between the operation and monitoring functions and external equipment. It is possible to monitor the READY status of the console-type HIS platform externally by means of a contact output. Users can output the alarm sound and voice messages of a DCS to an external speaker through a sound card. Although the console-type HIS platform operation is based on a mouse, the operator can also use an optional touch panel to achieve the same operation as is done with a mouse. To ensure increased reliability, the console-type HIS platform includes the following features to enhance maintainability. The RAS functions periodically monitor temperature and the state of fans, raise the alarm if any anomaly is found, and reflect the alarm status on a status display panel. In addition, the functions record operating time from system start up and total operating time, and this information is used to make maintenance work more effective. Disks can be made dual-redundant by connecting commer- cially available RAID disk drives. Recent EIDE-interface hard disk drives have the SMART (self-monitoring, analysis and reporting technology) function in order to predict the possibility of malfunction. With the SMART function, a hard disk drive periodically acquires data with approximately 30 parameters (spindle motor uptime, speed of revolution, etc.-details are vendor-dependent) that may serve as the causes of failure. Then, the drive compares the data with its internal guaranteed trouble-free threshold levels. Each application can detect the occurrence of a failure in the drive by periodically sending out a command to the drive. The SMART function is given these threshold levels in order to inform the operator of any failure in the drive before it goes into a fatal state of malfunction, permitting such due countermeasures as taking a backup. We take advantage of this function to provide the platform with a feature for informing users of a possible hard drive failure in advance. In this article, we have presented the overview and features of the functions that the HIS of the CENTUM CS 3000 provides. We have also explained the console-type HIS platform that is hardware dedicated to the CENTUM CS 3000. The HMI of the CENTUM CS 3000 is a product that has been developed on the basis of the operation and monitoring functions realized by the CENTUM CS 1000 in order to further increase reliability and enhance the level of interoperability. 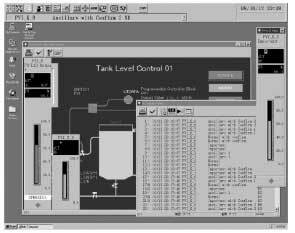 HIS is software that has been developed by taking into account a balance between the functionality required for the HMI of a DCS and the versatility based on the Windows NT operating system. Accordingly, a clear distinction between this software and general-purpose SCADA (Supervisory Control and Data Acquisition) software can be made. We are planning to enhance the functionality and reliability of the HMI based on the HIS, as well as strengthen the lineup of engines that will serve as DCS data servers for applications in higher-order layers. Ura, Naoki, et al. 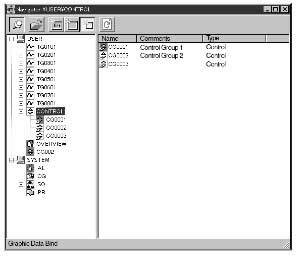 "Human Interface Software Based on Windows NT" Yokogawa Technical Report, Vol. 42, No. 1, pp. 15-18, 1998, in Japanese. Windows, Windows NT, ActiveX, Visual Basic, and Visual C++ are registered trademarks of Microsoft Corporation. CENTUM is a trademark of Yokogawa Electric Corporation.